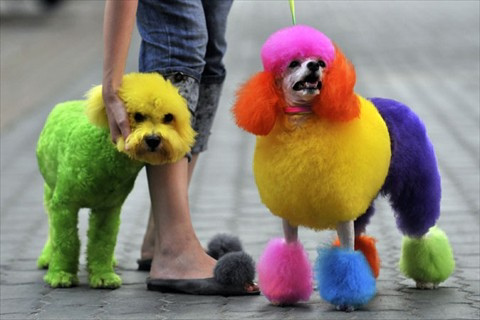 Why on earth would anyone want to paint or dye their pet? It is the $1000 dollar question that really answers itself. For money! People are prepared to stick their hands just that little deeper in their pockets for something unusual. Anyone who is old enough will be familiar with dyed day old chicks which used to appear in pet shop windows at Easter. There were the normal coloured chicks there as well of course but these were always sold last. The appeal was in the difference. All the chicks of course moulted out eventually and ended up the same colour. 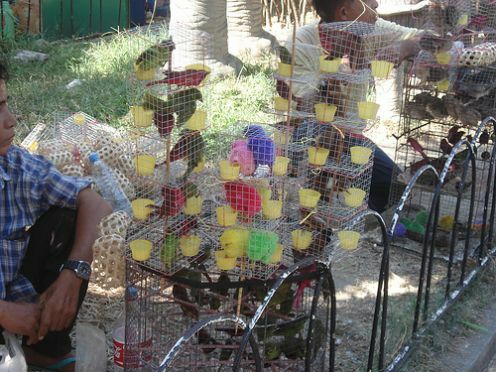 Dyed Day Old Chicks for sale outside of Manila Zoo in the Philippines. There are practical reasons for colouring animals of course. The obvious one is for identification and this is frequently used by researchers studying animals of a similar colour. Any sort of colouring will only be temporary. The application of colour is not always external. Within a zoo (captive) setting the Flamingo will quickly become a dull creature when deprived of its natural wild diet. Zoos compensate for this by adding a harmless natural colour to the diet. This is taken up by the body and shows up eventually in the feather colour. The same is used for some other birds like Red Factor canaries. Some breeders will even color feed their Koi carp. Within the aquatic trade colour feeding is commonly used in some quarters. The Indian Glassfish is, as the name suggests, quite a clear creature... almost see through. This has led some traders to colour them and so increase sales. The coloured fish is then given another name... the Painted Glassfish. Other fish which have their colors deliberately changed by dyeing, or 'juicing' as it is more commonly known, are some Barbs, Cichlids, Oscars and others. Recently the owner of a small zoo in Gaza died one of his donkeys as a zebra because he was unable to afford or aquire a real one. Nobody asked the donkeys opinion of the arrangement. 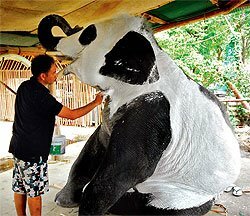 Then in Ayutthaya in Thailand a number of elephants were painted up as Pandas. This was to draw attention to the plight of the elephant in Thailand. At the time a lot of money was being spent on and raised by the birth of a Panda in the Chiang Mai Zoo. Today though it is the familiar pets such as cats and dogs which are being dyed to design and 'doggie dye jobs' are quite fashionable in parts. 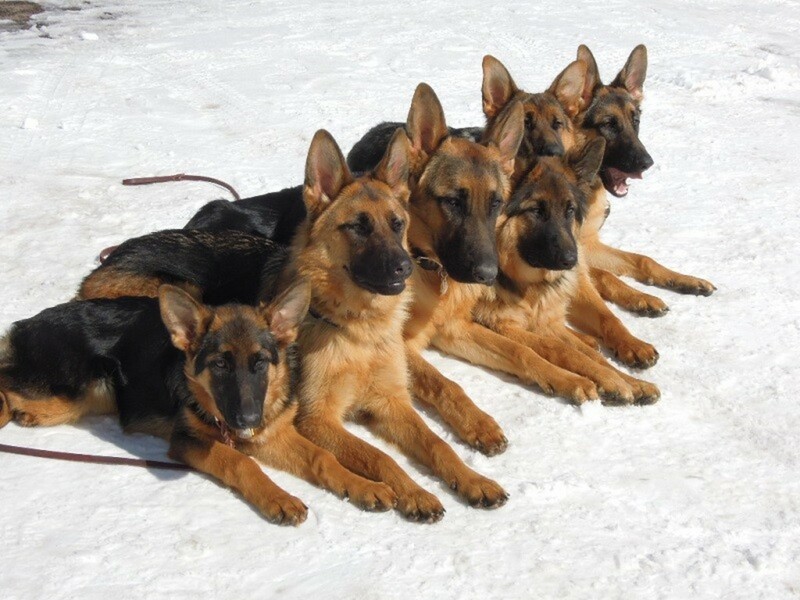 There always has been a group who favoured dogs which matched their dress or car colour or the just plain bizarre. 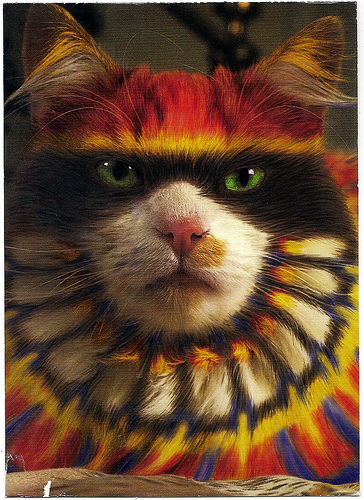 Now there is a new fad where pets are being made to look like exotic animals. In the photograph below you will see some very realistic Panda cubs which are, in reality, dogs. 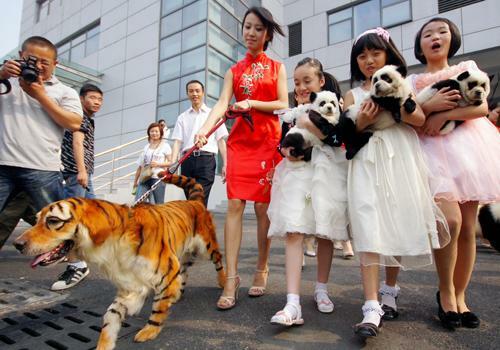 Inevitably these are becoming a popular pet in China. Is painting animals cruel. I suppose it will depend on what you consider cruelty. The quick application of a spot of non toxic colour or dye is unlikely to cause pain or any long lasting damage. 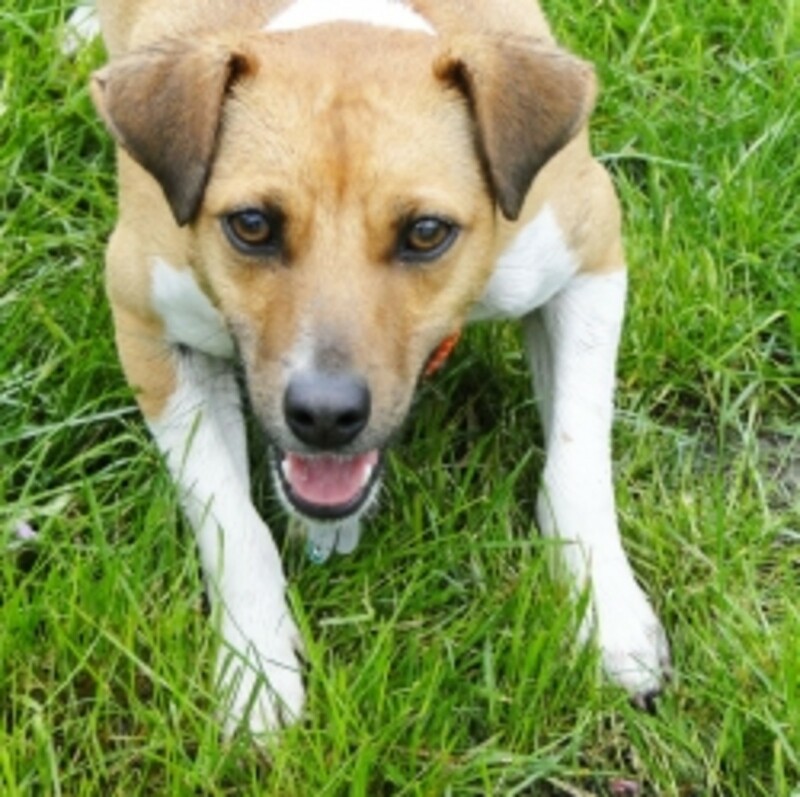 Anything over and beyond a couple of minutes of restraint could be termed as stressful for even the most patient of domestic animals. The artist Banksy, renowned for his different approach to art did present an exhibition of painted animals back in 2003. These included cows, pigs and sheep. Although the exhibition encountered no legal problems and, surprisingly was given approval by the RSPCA, there was naturally protest from animal rights groups. The exhibition was cut short when it was seen that the animals were distressed. Surprisingly the RSPCA were not so keen when Madonna had flocks of sheep on her estate dyed yellow, green, pink and blue for a Vogue photo shoot. Seeing sheep with dye patches on their backs is common of course. These are as a result of the dye sponge on the chest of the ram. Mated sheep then are the ones with the mark on their back....a sort of 'look I've done it' temporary tattoo. In parts of the Middle East, Asia and Africa it is not unusual to see dyed livestock for sale in the markets. Sometimes this may consist of straight colour or dyed writing or symbols. It is believed that a 'pretty' animal may command a higher price. In a way this is only slightly different to 'show' stock in Europe where animals may well have had a shampoo and hooves and horns polished. The dying of pets is actually illegal in some US states. This was implemented to give day old chicks and rabbits some protection over the Easter period. In the case of the Indian/Painted Glassfish the situation may well be of no harm if restricted to using food to change colour. Sadly this is not the case as unscrupulous traders inject dyes to multiple sites over the body. As if the stress were not enough this leads the fish open to infection. Some authorities claim that almost 50% of the fish die because of this procedure. This is illegal in some but not all countries. If you are seriously considering painting your dog please think again. Why not donate the money you would save towards Painted Dog Conservation. Changing the natural colour of an animal to suit a whim, a fashion or for one upmanship is an indication of lack of care. People who really love their pets would never consider turning them into something they are not. It is no spoof Baileybear...there are a lot of strange people out there. This was a really good Hub on the subject. I can't imagine dying my little Min Schnauzer. I don't think she would be still long enough! She gets all embarrassed when she has her hair cut by the groomer. Honestly, she just mopes around for a day or two. kaltopsyd - Thank you. I agree the panda puppies do look cute....sadly that is why more are likely to be dyed and sold. 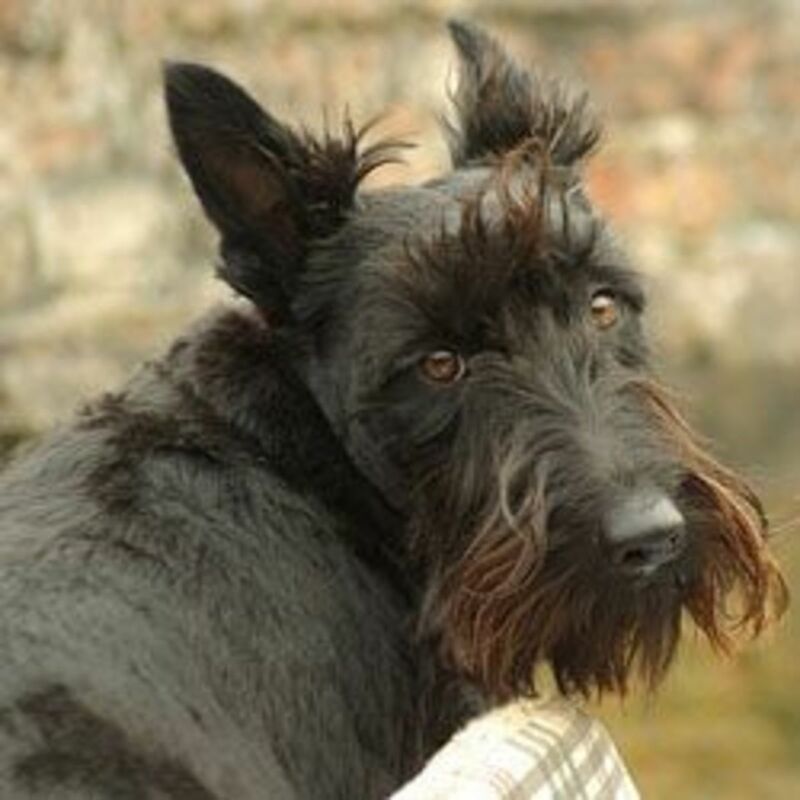 jill of alltrades - I suppose dyeing is really something of a 'poodle' situation where dogs are changed into something completely different by a hair cut. Thank you for reading. Thanks for bringing this to our attention. Why paint the pets into something else indeed? Why turn a dog into a tiger or a cat into a clown? I also agree with what Justom said above that, as long as the dye does not harm the animals, then maybe it's no big deal. 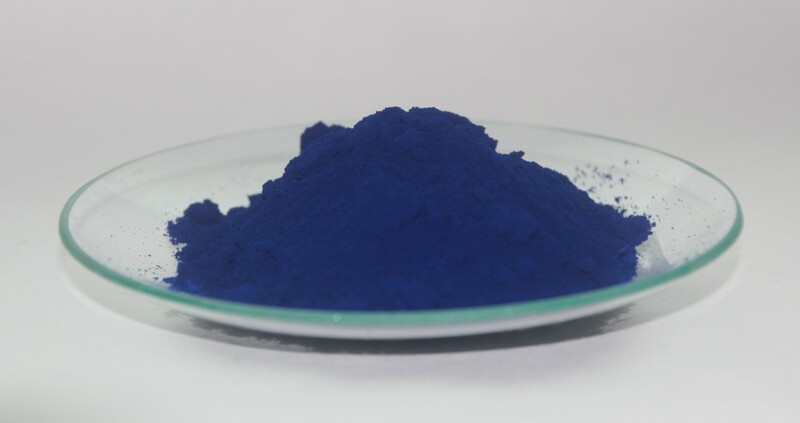 But, some dyes used usually contain some toxic elements, so we really have to be careful about what we put on our pets. justom - thank you. In some ways I agree with you. I wish though that I could for one day look out through the eyes of animals. Hello, hello - It is a crazy old world. Thank you, Peter, for drawing the attention to this, to me, stupid idea. Even if it is not harmful I feel sorry for the animals have to stand there to get that done. I am sure they don't enjoy it. Whatever is the matter with the human race?